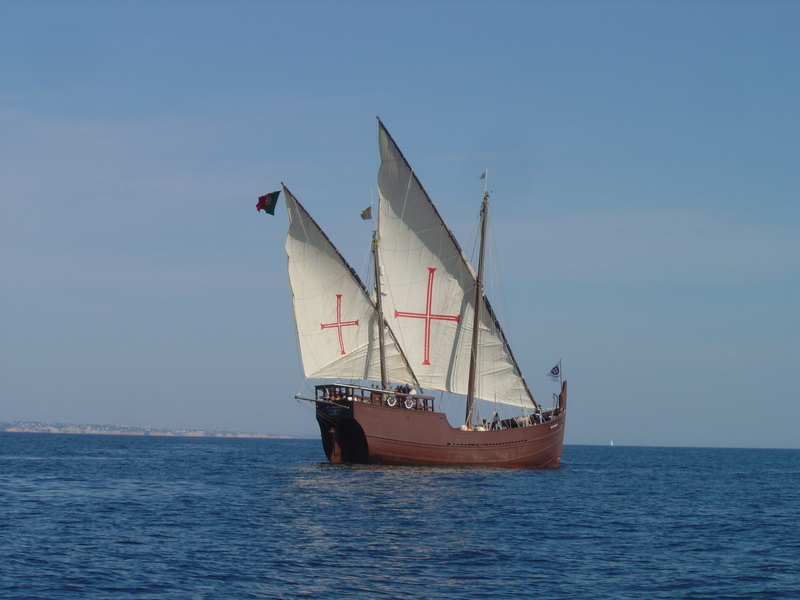 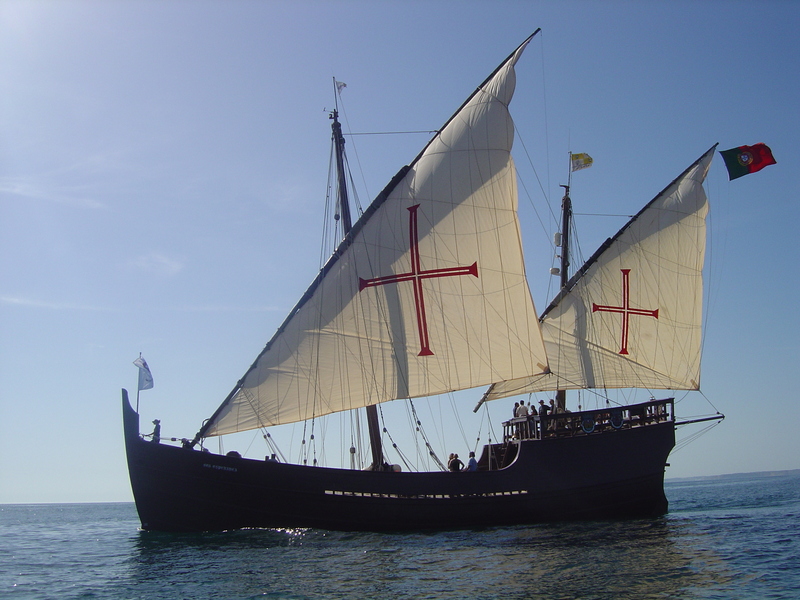 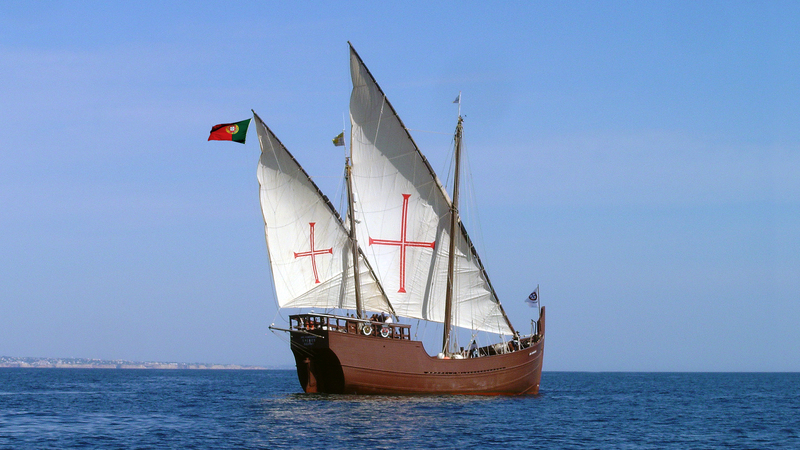 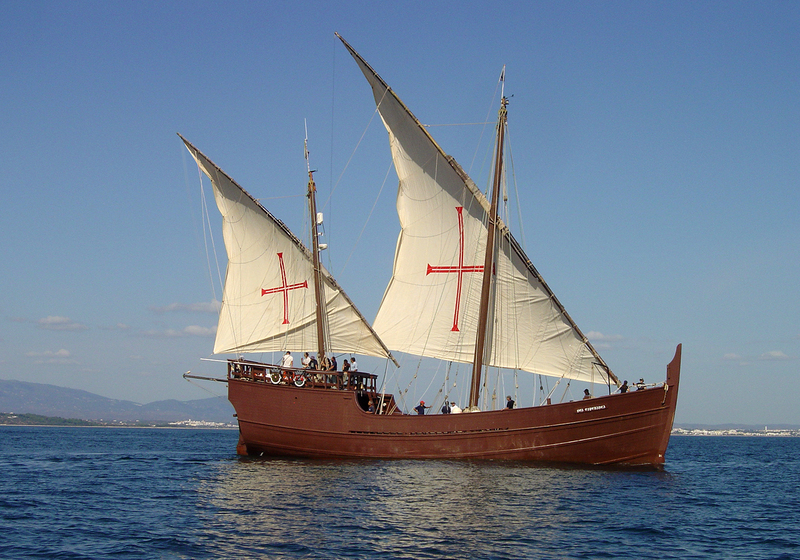 The caravel “Boa Esperança” is a replica the ship used by Bartolomé Díaz when he passed the Cape of Good Hope in 1488. 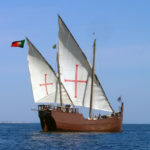 It was built in Portugal by expert shipbuilders that used the same techniques of that time while having in mind the current safety requirements. 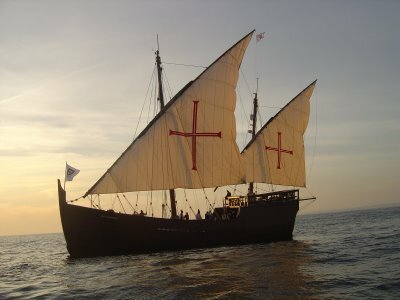 It was launched in 1990 and she started ocean sailing right away. 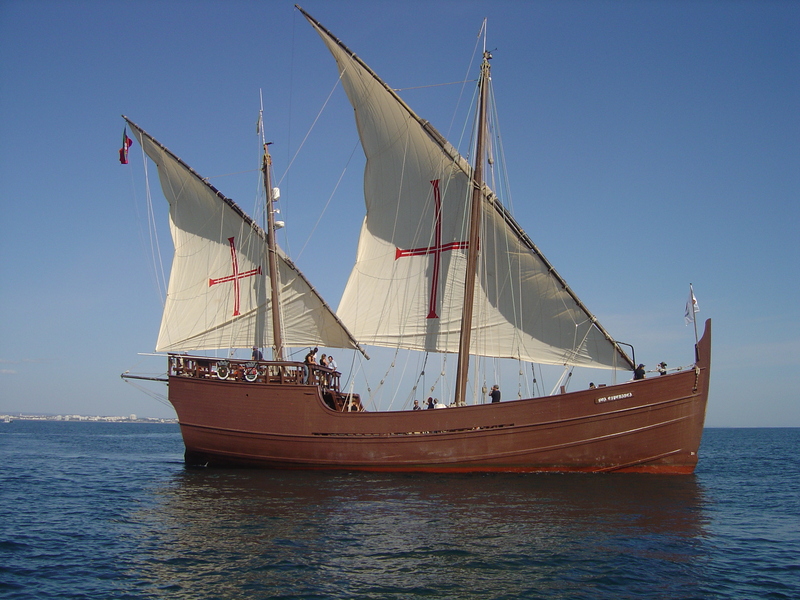 The Boa Esperança, has its home-port in the Potuguese city of Lagos, where it functions as a floating museum for the Regional Tourism of Algarve. 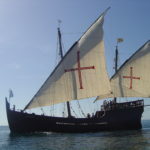 It promotes the culture and history of the region through the role that the ship had on the discovery era. 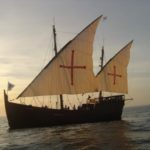 It also serves as a training vessel for youth to learn about the sea and sailing and participate in nautical events, as well as an archaeological asset to study the maneuvers and behavior of the old caravels. 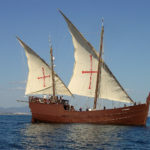 It has two lateen sails with the Cross of Christ in honor of the Order of Christ, to which Prince Enrique “The Navigator”, great promoter of the Portuguese discoveries was a member of. 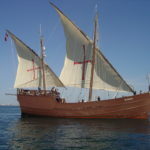 Scots pine: Overlay false gunwale, keelson and masts. 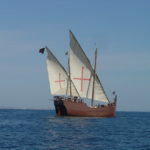 Cambela: main deck and bridge.